The City of McGregor is super excited about bringing a yearly disc golf tournament to town and having players visit the city and park. They have been so helpful in getting the course put in and better yet, making sure they are proactive in changes to be made and updates. 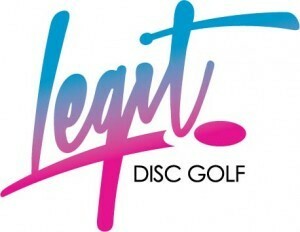 They want disc golf to grow in McGregor and are looking to host a WACO caliber event in the future. We think thats music to our ears, because finding a city board that excited about disc golf is special and we want to foster a great relationship with that spirit in mind. So, WELCOME to the 2nd Annual McGregor Spring Fling! This is a : 2 Round / One Day / B-Tier / Pro-Am Tournament hosted at Amsler Park in McGregor, Texas. Amsler is an 18 hole course with 9 baskets. Each basket has 2 tee pads that create 2 distinctly different holes. It plays along a winding creek most of the way with water coming into play on a few holes. It is wonderfully designed with just the right amount of challenge while still being great fun to play. Amateurs will receive player packs and merch payout. Pros will receive no player pack, and payout will be distributed via paypal. There is a $5 ace pot. Everyone is in the same pool, so if no ace is hit, all divisions will CTP for the cash! In the case of a player in a Pro division for an event without a Pro player pack worth at least 25% of the Entry Fee, the TD will provide the 50% cash refund. Pro division for an event without a Pro player pack worth at least 25% of the Entry Fee, the TD will provide the 25% cash refund. - 8:45am Mandatory Player Meeting : We will discuss rules, layout, and pertinent day-of information and go over any questions. We will blow a horn with two short blasts at the 2 minute warning, and one long blast at start. We will have a 1hr break between rounds for lunch, with the 1hr starting from the time we receive the last card.